Just across Haro Strait from the iconic San Juan Islands lie the Canadian Gulf Islands. Only four nautical miles and one international border away! Don’t let that border keep you from enjoying the good cheer and unique ports of call of our northern neighbor. The rules of what you can take there, and back, are a little different than travel by car. Clearing customs, when not constrained by roadways, is entirely different. Then there are those issues unique to boaters – licenses, fees and radio settings among them. 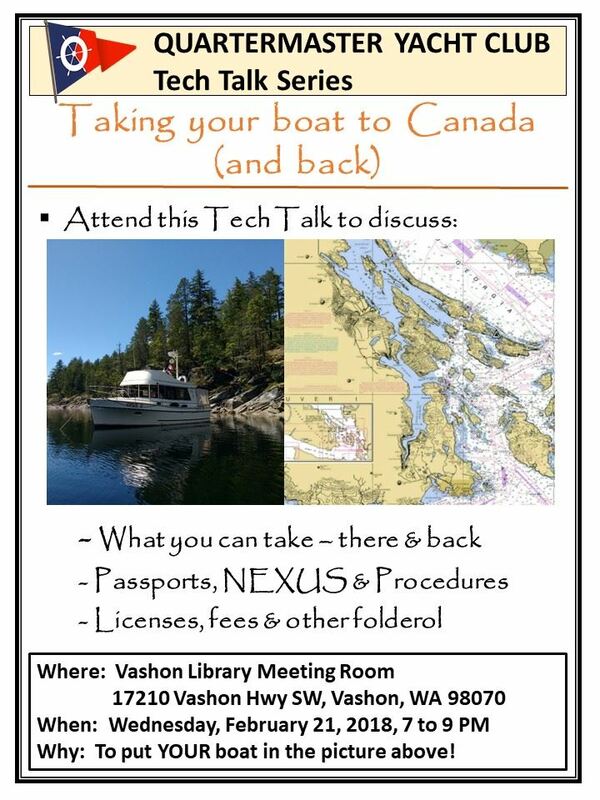 Attend this Tech Talk on Wednesday, February 21 at 7PM in the Vashon Library meeting room and learn how to take your boat to Canada, and back.